Small pets are allowed, but only if the owner has the suitable equipment. Great location, very clean and nice rooms. Can't fault this hotel other than the reception was closed almost all the time so if we needed to ask something the lady wasn't there. Other than that, great place to stay and would recommend. Great location with great air conditioner. Very happy with our stay. We had comfortable accommodations for our stay at Carol Rooms. It was convient, clean and friendly. Thanks for a greater stay in city center. Truly exceptional place. 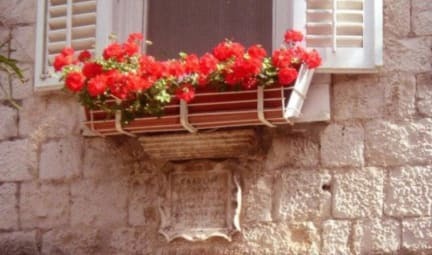 In the heart of historical old town of Trogir, a neat small hotel, silent and tidy. Nice place to stay, good location. Darja from Carol rooms text me directions from the station and was warm and welcoming on my arrival.. The room was cool, clean and pleasant. Great stay! 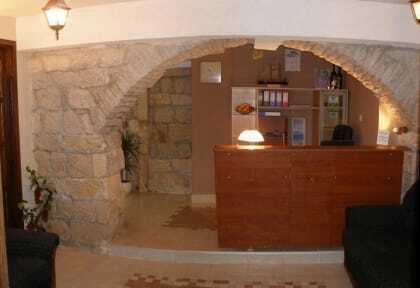 The hostel is located in the centre of the Old Town, although it's not noisy in the rooms. We had a double room with a bathroom and it was clean and comfortable. Staff was great, Minira answered all out questions before via e-mail and gave a lot of tips on the spot. We highly recommend this place! Great location and value for money for our one night stay. Did the job! Everything you could need and for a good price, location was brilliant as us right in the middle of the action. The receptionist was very friendly and helpful.